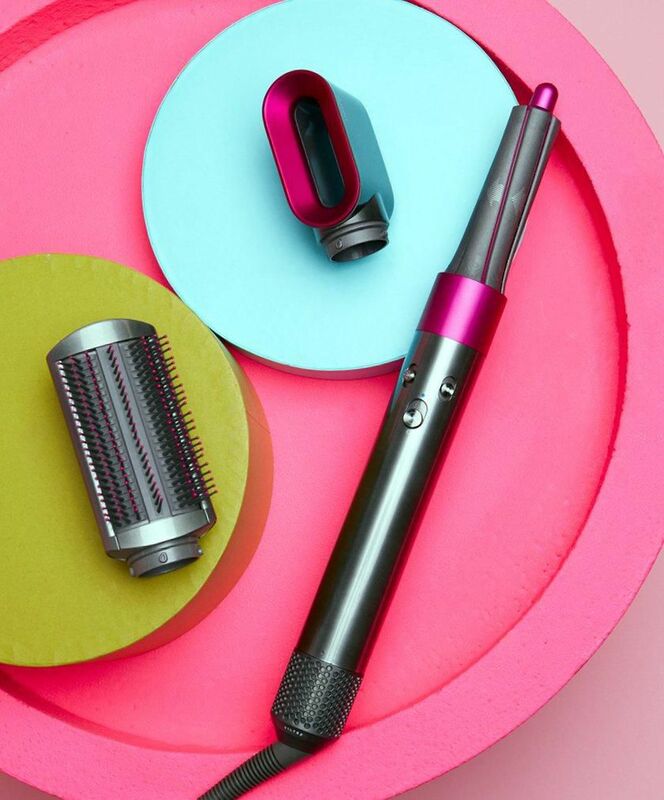 Would you buy a $600 hair tool? I can vividly remember the first time I ever used a Dyson hand dryer a decade ago. I had never witnessed anything like it: the forceful blast of air, the speed at which it dried my hands. Why didn’t anyone think of this before? I felt that same amazement all over again when, 10 years later, Dyson entered the beauty game with the launch of its supersonic hair dryer, the $500 tool that uses the brand’s mastery in concentrated streams of air to dry hair faster and with less damage than traditional high-heat devices. Now, Dyson is attempting to blow us all away again (sorry, had to) with the Airwrap, which launched on Tuesday. Researchers at the brand’s U.K. hair science lab discovered that the average woman owns three hair styling tools — a blow-dryer, flat-iron and curling iron — and that they all typically heat up above 150 C, which Dyson found to be the threshold temperature before hair gets severely damaged. The Airwrap’s promise? To deliver curls, waves and straightened strands with one tool, and all with less heat. Instead of extreme heat, it’s the air pressure that moulds hair into shape. With multiple vents all around the barrel, the air blowing through creates a high-speed vortex that helps hair spiral around the device and hold that shape once released. The next major distinction is in how you wrap hair around the tool. The name Airwrap comes from the way that, when you place the tool against the bottom of a section of hair, the current takes over and gently loops the rest around. Since I struggle to use a regular curling iron, I found the self-wrapping tool easier to manoeuvre for my medium, wavy hair, though it still required a bit of getting used to. The result was a head of bouncy ringlets that, when brushed out, looked perfect down or pinned for a special-occasion look. Far easier was the S-wave technique where you wrap skinny sections around the wand to create soft bends — this is a style I’d wear more often anyway. On my lazy days, I love the idea of using a brush to quickly smooth things out. It’s a bit of a pain for second-day hair — you essentially have to use a spray bottle to mist any sections that you want to touch up — but with the promise of less damage to my (already mega-damaged) blonde hair, I’m happy to adapt.